1850 E Alvarado Street, Fallbrook, CA.| MLS# SW19081838 | Southern California Homes for Sale. Search properties Southern California. 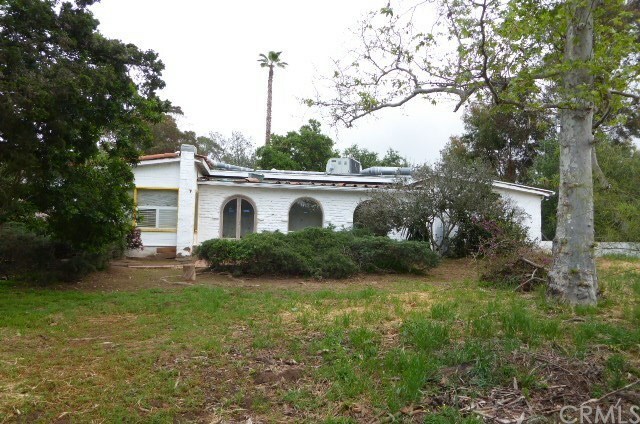 **HUD HOME** 1944 Adobe style home located on 1+ acre of land in the heart of Fallbrook. Single story home with Open living room and Dining area, Fireplace in living room and master bedroom. Formal entry and den. Disclosures: Property is NOT located in a FEMA Special Flood Hazard Area but is listed as a moderate to low flood risk. Please refer to website for additional information regarding flood zones and insurance, State law requires Carbon Monoxide detectors be installed for properties having combustible fuel heaters/furnaces, fireplaces, hot water heaters, clothes dryers, cooking appliances, or an attached garage, but seller (HUD) is exempt from this requirement as a Federal Entity, Repairs exceed $10,000. Repairs may include but not limited to structure, electrical, roof, HVAC, and plumbing; Inspection recommended, PCR indicates that the electrical system is damaged, so please do not activate electrical service prior to inspection and repair by a licensed electrician. A request to activate electrical service will likely be denied by the FSM., Since plumbing system does not hold pressure, do not activate water service prior to repair by a licensed professional. Water service activation requests will not be approved., Replace missing floor covering., Roof inspection is recommended, repair as needed, HVAC needs replacement., Missing smoke and CO detectors., Treat and paint interior / exterior defective paint surfaces. Misc. : UI-Eligible for 203K Financing.